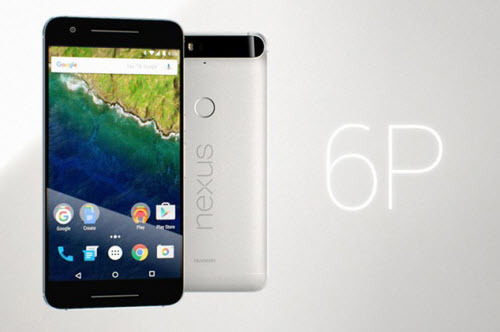 DVD Movie to Google Nexus 6P: How to Watch DVD Movie on Nexus 6P? The Nexus 6P is Google's flagship Android phablet for 2015, but with a 5.7-inch display and cheaper price it won't stretch your hand or your wallet quite as far as last year's Nexus 6. New features, like a fingerprint sensor, reversible USB-C port and a better camera, are the selling points for this all-metal Android phablet. Lower price but better performance attracts customers to buy this new phablet. It will be nice to enjoy movies on this nice-to-hold phablet. But, not all video can play on Google Nexus 6P, such as iTunes M4V videos, DVD Movies, and other protected movies. In a general way, iTunes M4V videos are protected by Apple FairPlay DRM, while movie DVDs rented or purchased are under various protections, like region code, CSS and more, which block people from playing freely with country and area limit, and backuping to the movie files. To play DVD movie or iTunes movies on your new Nexus 6P, you should remove the protection form movies first. To remove DRM from iTunes videos, you can try NoteBurner M4V Converter Plus for Windows, which can help you losslessly remove DRM from iTunes videos at 20X faster speed. You can convert the iTunes M4V videos to Google Nexus 6P supported video formats, such as MP4, MOV, AVI, ect. In this way, you can enjoy your iTunes videos on Nexus 6P as you want. Also, if you are running Mac OS, you can try NoteBurner M4V Converter Plus for Mac. 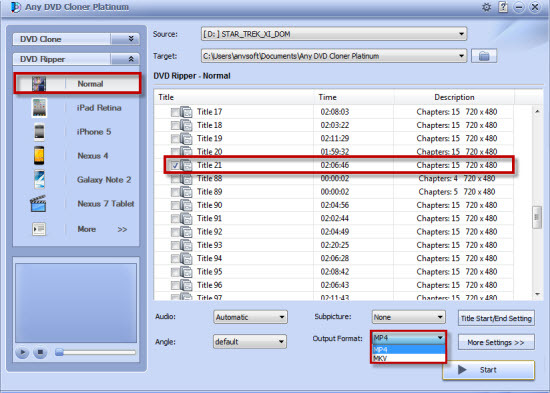 For the best DVD Movie Ripper, Any DVD Cloner Platinum is a friendly DVD movie ripper for Google Nexus, which adopts advanced encrypt technology to unlock various DVD protections completely with original audio and video qualities retained, and provides almost all new-released devices as output players. You can rip any movie DVD to Nexus supported formates within several clicks: launch the DVD ripper, insert DVD disc, choose output format, click "Convert", and then leave the rest to Any DVD Cloner Platinum. Start the DVD to Nexus 6P Ripper tool on your Windows 10, 8, 7, Vista or XP, and then insert a movie DVD. After that, the software will recognize the longest title automatically. If you are running Mac OS, try the Mac DVD to Video Ripper for Google Nexus. It is highly recommended to choose "Normal" in "DVD Ripper" as rip mode, and choose "MP4" in "Output Format" drop-down list, which is perfectly compatible with Google Nexus 6P. Just click "Start" button and get the output video in destination folder after the conversion is finished. Tips: If you want to choose some specific movie chapters to rip, go to "Title Start/End Setting" option before starting the DVD movie ripping.